The current devices used for embryo screening have been promising. Both devices shown below can create time-lapse videos of the embryo to help the physician choose a viable embryo. However, both devices are limited because they focus on morphology and outside appearance. There is an opportunity to improve upon current methods. 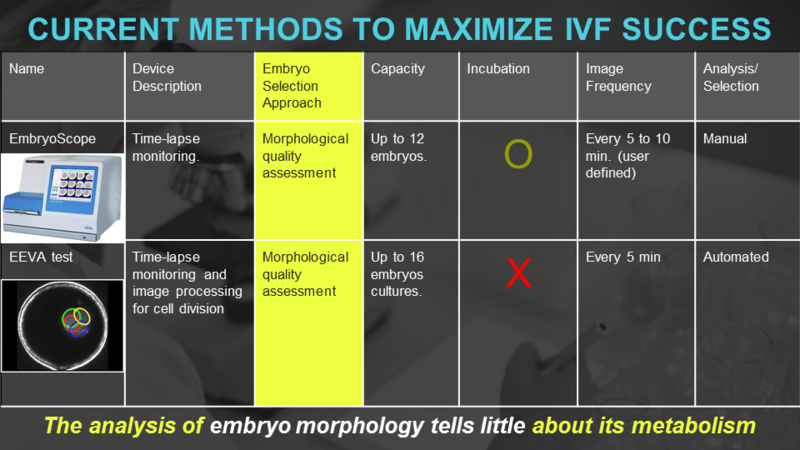 Research studies have shown that the presence of specific biomarkers are important predictors of embryo viability. While, these devices cannot utilize this important piece of information, our device will quantitatively analyze biomarker information within the embryo, which is a more accurate indicator of embryo health.